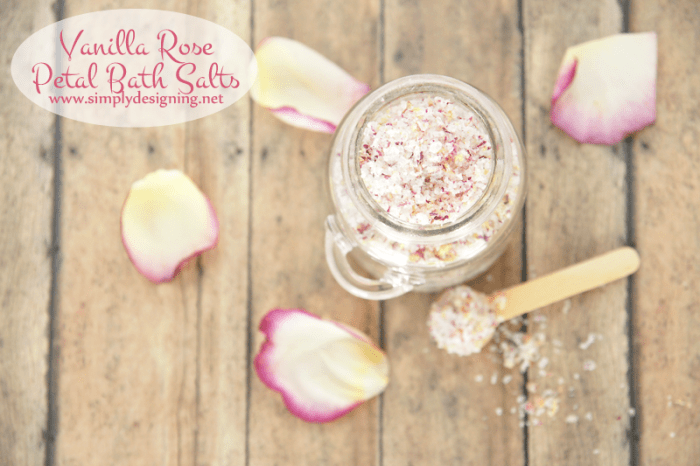 About a year ago I shared this amazing recipe for Vanilla Rose Petal Bath Salts! It is amazing and delicious smelling and continues to be a top viewed post on my blog! 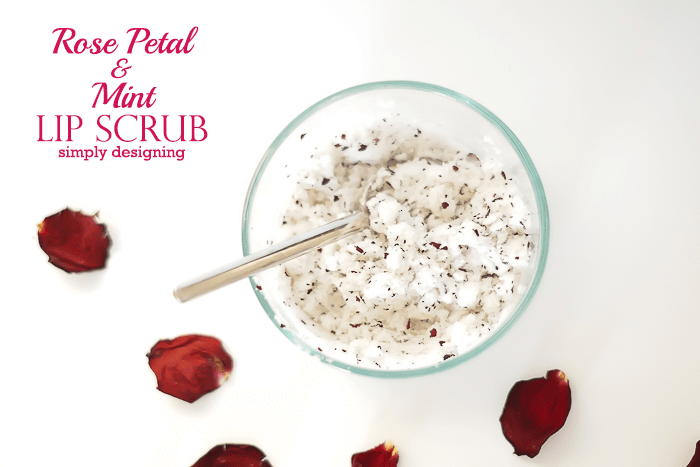 So today I came up with a really fun and equally yummy (maybe yummier) scrub recipe for you using rose petals and a delicious mint oil! Oh my goodness, your lips will never feel more divine! 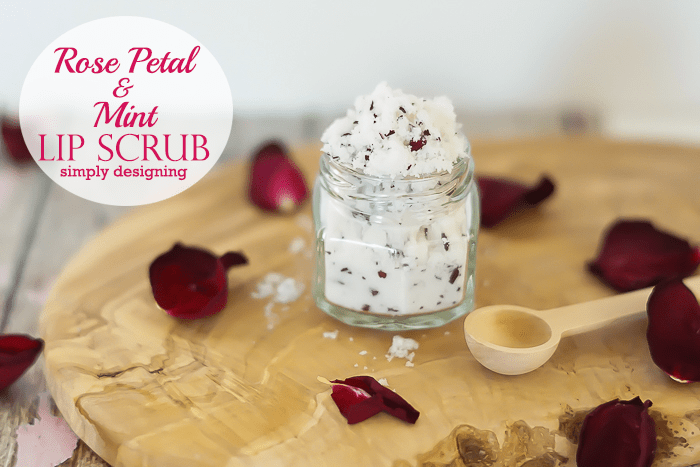 This Rose Petal and Mint Lip Scrub is luxurious and and such a treat! And it is so simple to make too! 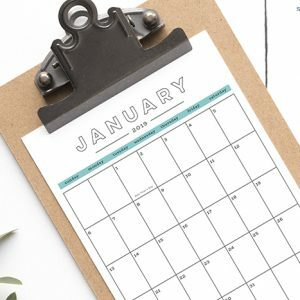 You will want to make this right away and pin it for later too! Why Castor sugar? Can I use regular sugar instead? Castor is super fine sugar. It is more fine then granulated sugar but less fine then powdered sugar. You can use granulated sugar, but granulated sugar is actually very rough on your lips. 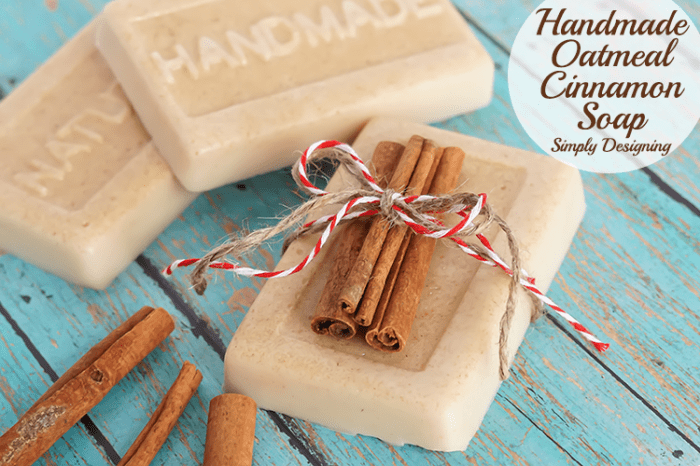 Castor sugar gives a great scrub without hurting the delicate skin on your lips. Can I use another oil? I chose Jojoba oil because it is actually great for your skin. It is non-greasy and non-pore clogging which are two things I look for whenever putting something on my face. It is antibacterial and the scent is very mild. So yes, you can use another oil, but I am always very careful about what oils I choose to put on my face. 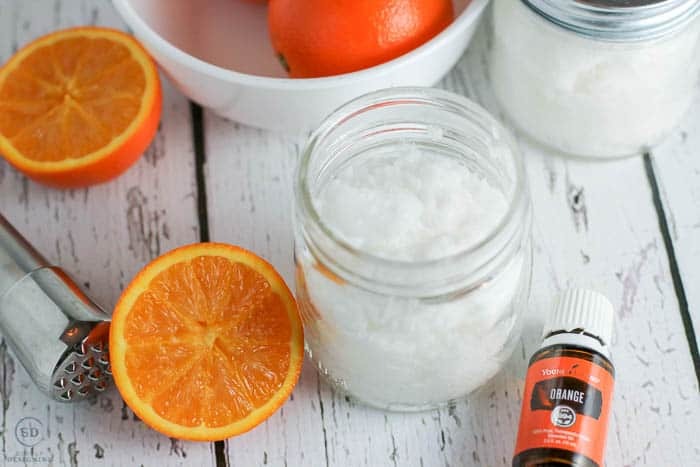 This is my favorite oil to use for a lip scrub. 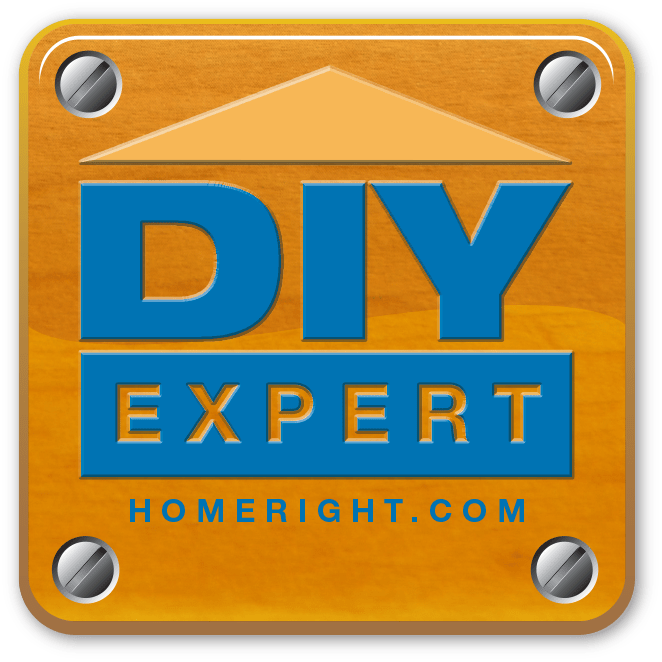 Do I have to use an essential oil? I highly recommend it. I am not an expert, but I would never put a fragrance oil on my face (again I am just very careful about what goes on my face). Using a food grade extract would probably be ok, but I honestly prefer essential oils and I love the benefits that I get from using them! I have been using Young Living Oils for nearly a year now and really do love them and the company. 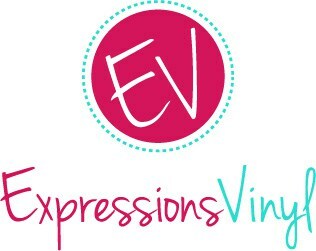 If you’d like to purchase oils at a discount, go HERE, check wholesale, and use code: 1858838 for the Sponsor ID and Enroller ID. I recommend snagging the the Premium Starter Kit with the Bamboo Diffuser, it’s what I started with and love all the oils in it! The bamboo diffuser allows you to use tap water instead of distilled water, so that is why I prefer this kit (and I like how it looks better too 🙂 The Peppermint oil that I used for this scrub comes in that premium starter kit along with other awesome oils. Let me know if you have other questions of course by emailing me or leaving a comment below! 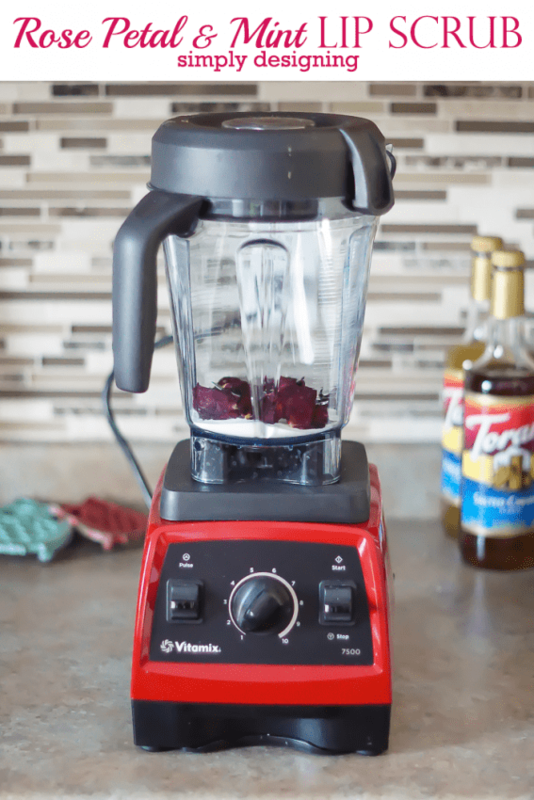 Place rose petals into a Vitamix blender (a food processor will work too, but my Vitamix was really fast! You can see what Vitamix I use HERE.) and blend for a few minutes until the rose petals are chopped into fine pieces. 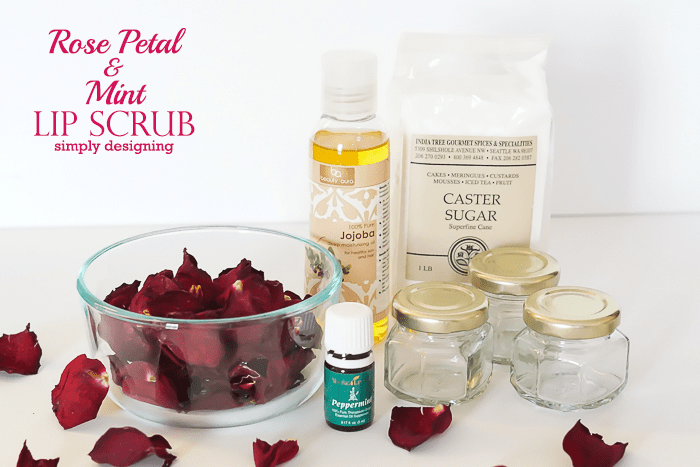 Place castor sugar, rose petals and oil into a small bowl and mix. Add more oil for a wetter consistency and less oil for a drier consistency. Add peppermint essential oil and stir well. 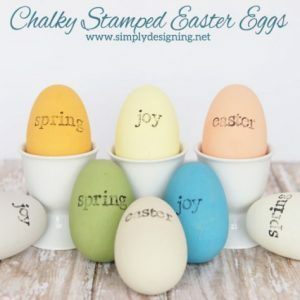 Place in cute jars or containers and enjoy! This feels like heaven on your lips! It gives your lips a nice scrub without being too harsh. 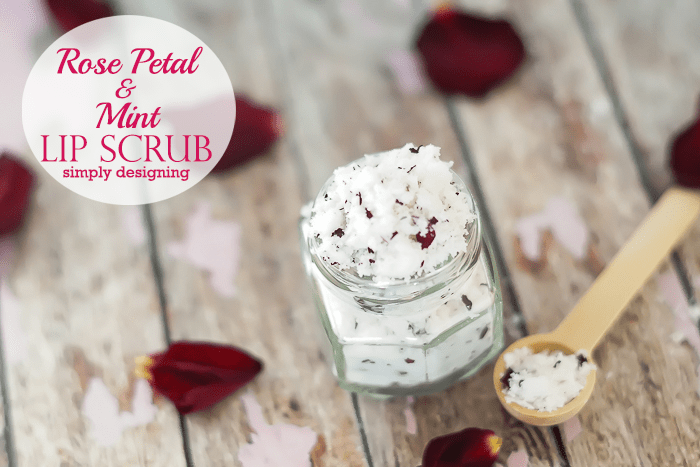 And the rose petal gives the scrub a nice scent that perfectly compliments the peppermint scent. 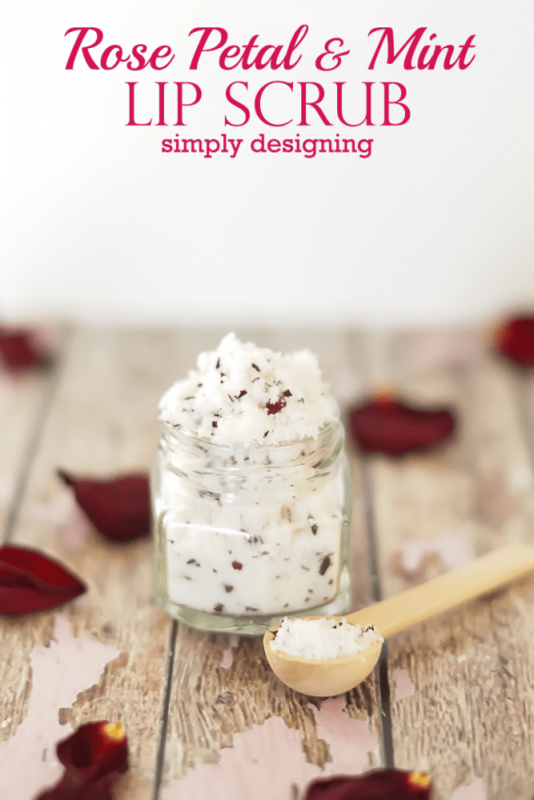 Plus all of these ingredients are technically edible (although I would wash and dry your rose petals before hand to ensure that there are no pesticides on them) so it really is the perfect lip scrub! And it’s really beautiful too! 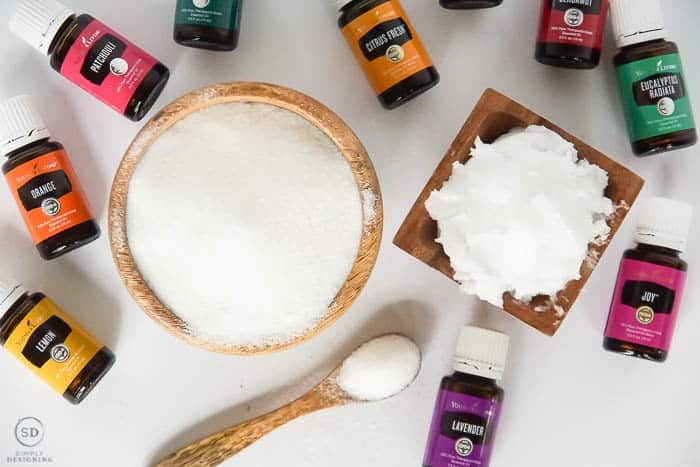 I only ever use pure, therapeutic grade essential oils from Young Living for all of my recipes because I know that not only are they safe for me, but they can provide benefits for me too! 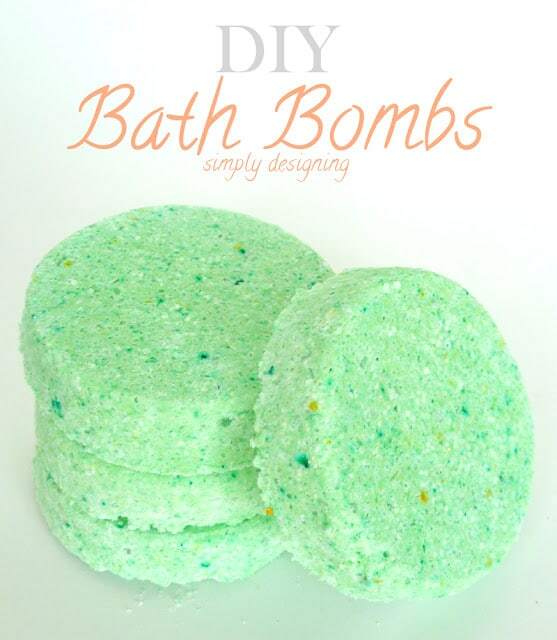 HI found your blog on the This is How We Roll Thursday link up.I I love making my own scrubs, butters, and bath salts. I am currently experimenting with DIY hair products. This was a great a idea! I love using rose anything it’s my favorite scent. 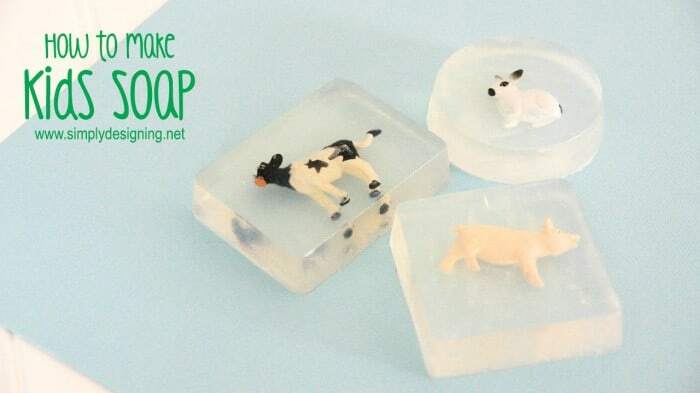 I love the kids soap with the animals in it! It’s adorable. 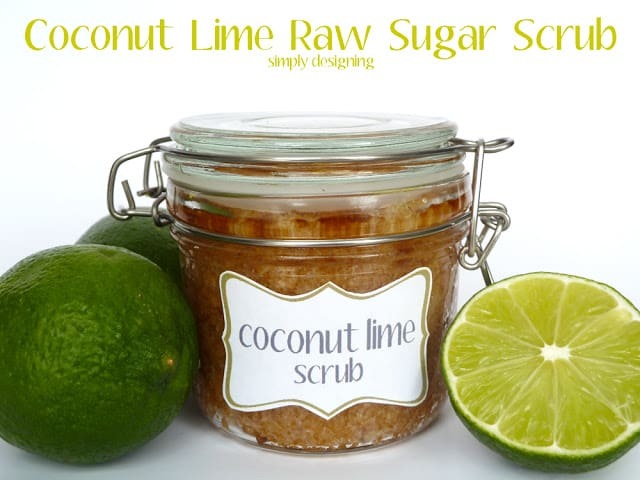 I’ve made sugar scrubs and face cream before but never my own lip scrub. I can’t wait to try this! Thank you so much for linking it up at This Is How We Roll Thursday. I hope you come back next week and show us what else you come up with! 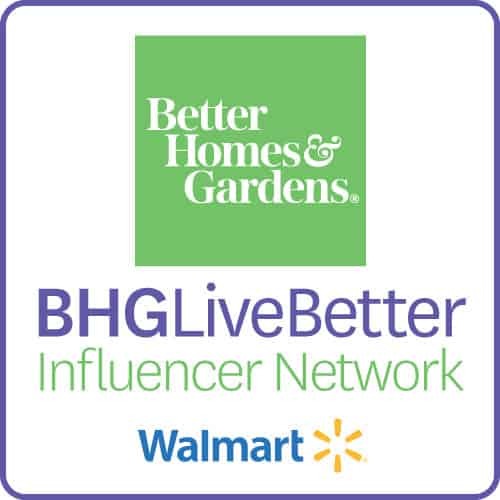 Joining you from Happy Gal blog party! I like the wooden spoon in your images. I’ve been looking for sugar scrub wooden spoons all over. Do you have any suggestions? Oh thank you! I actually just found it at Hobby Lobby. It came with the jar. Your recipes are great! 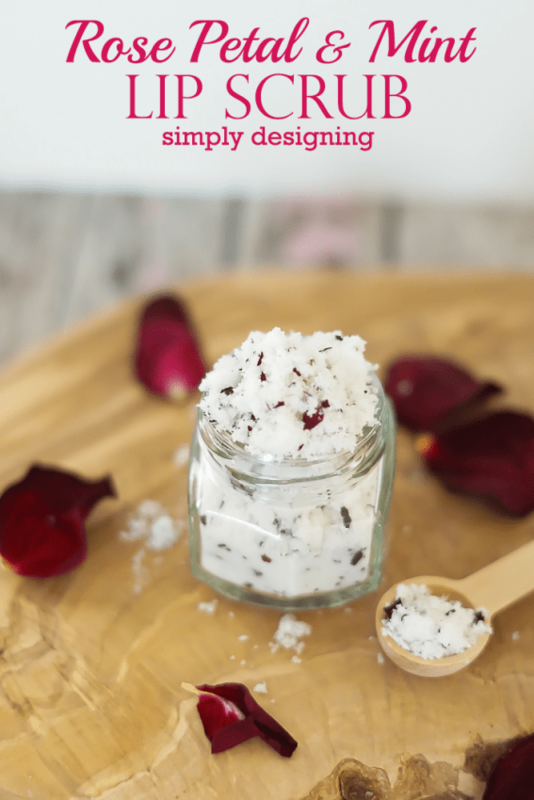 I made the rose petal bath salts and absolutely loved it. I was wondering where you can get the wooden spoons in your photos? Thanks for the great creativity!